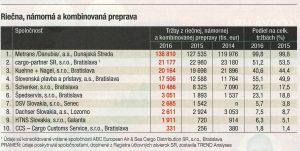 Annex weekly “TREND Special, logistics and transport” were published various statistical data of companies offering transport services in terms of the range of services provided. 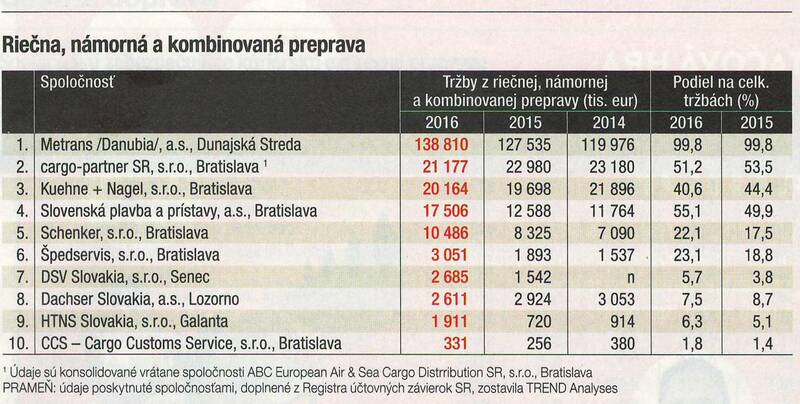 Even in this year ŠPEDSERVIS compete in the market place in competition of large multinational companies and get better. The river, sea and combined transport figures at 6 spot. The rail traffic figures at nice 7 spot and keep our stable market position.